The Bittner family of Weipert/Vejprty, Bohemia/Czechia has a long history of working in the waffen trade. Hans Bittner set up and operated a forge for making weapon barrels in the mid 17th Century (circa 1630). The waffen trade in Weipert became well established when a gunmaker’s guild was formed in 1734. 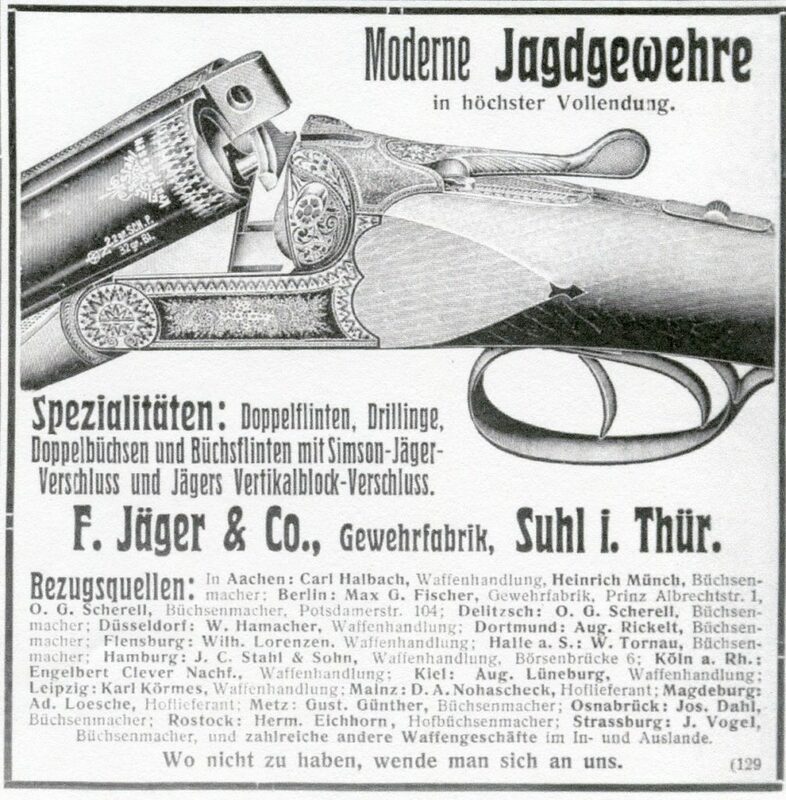 The first products of the Weipert makers were military arms for the Austrian Empire. The firm Gebrüder Bittner was founded in 1830 by Gustav Bittner Sr. and his brother Raimond Bittner. This firm began making sporting arms alongside the military arms. 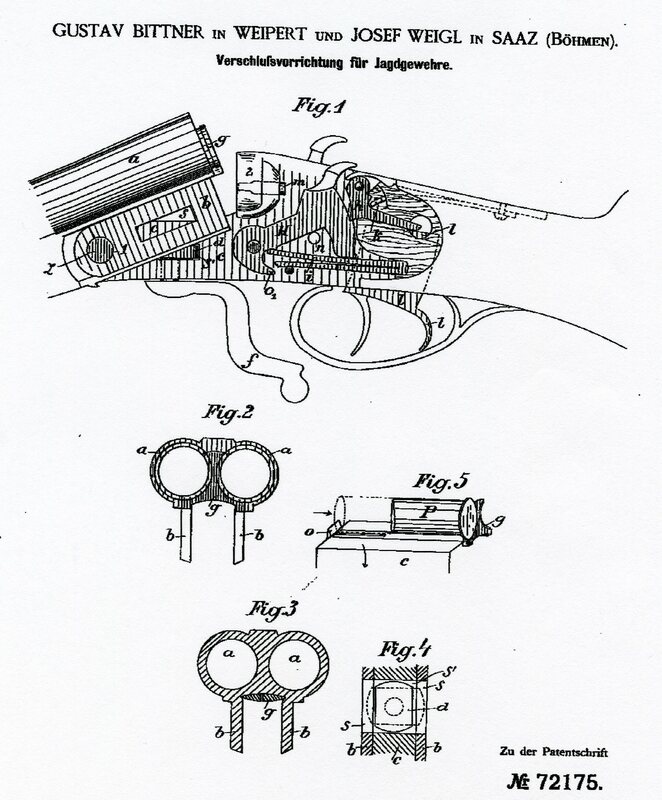 Gustav Bittner Jr. (Emil Gustav Rupert Bittner 1843-1906) was the most innovative of the family, he developed and produced a lever action pistol in 1893. That same year on Nov. 28th he was issued DRP no. 72175 for a double lug action with hammers partially enclosed. 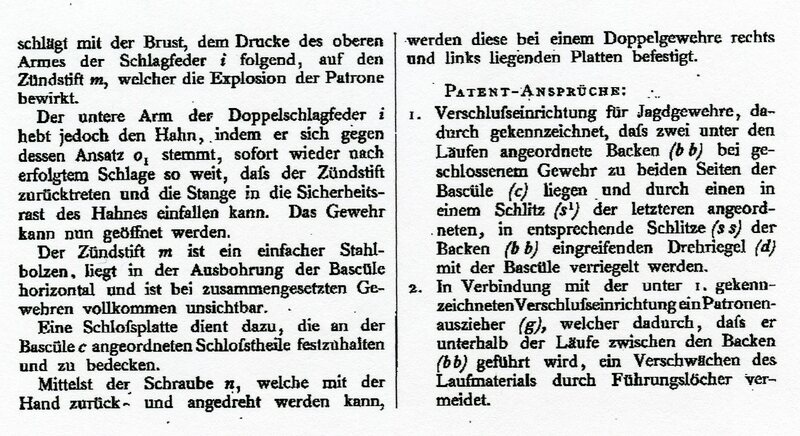 The patent was also jointly issued to Josef Weigl of SaaZ in Bohemia. The hammer arrangement would be used later by his onetime partner Gustav Fückert. 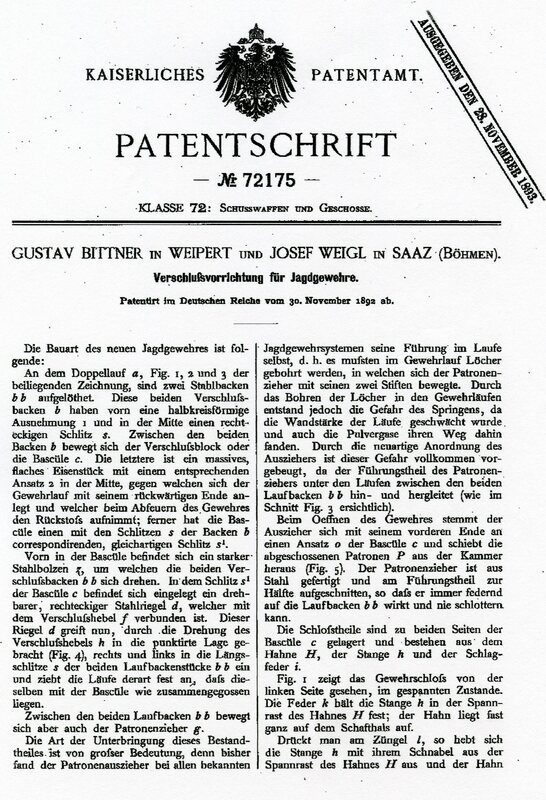 In 1887 the Weipert gun makers created a consortium to accomadate a large order from the Steyr weapons factory in Austria. The consortium included Bittner, Fückert and Morgenstern. Another prominant gun making family in Weipert were the Schmidl’s. 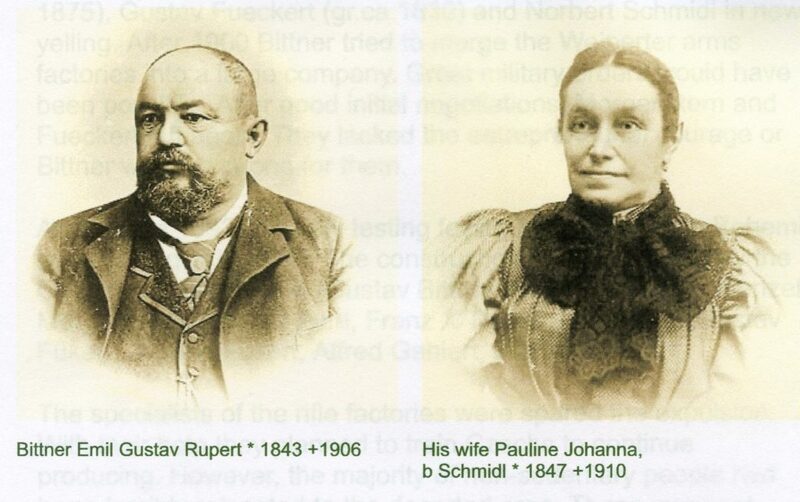 It is easy to assume that Gustav Bittner’s wife Pauline was a member of that gun makers family and shows how close and interconnected all of the Weipert gun makers were. 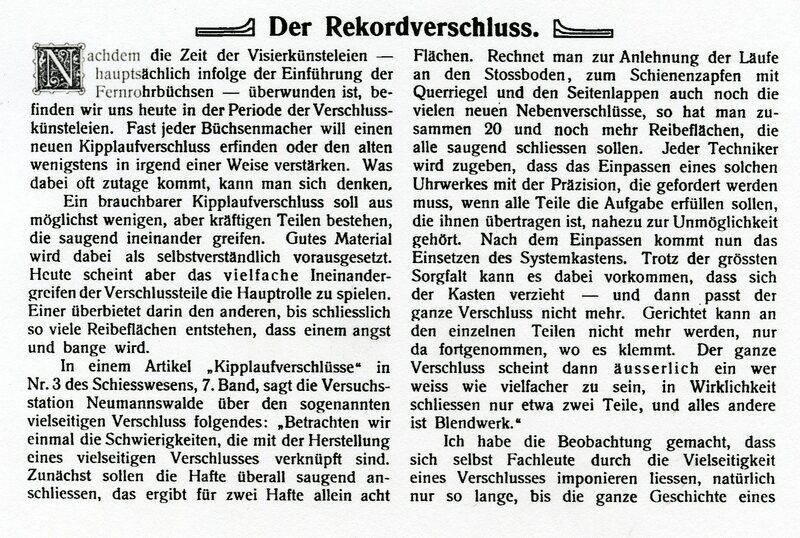 Mr. Felix Neuberger in his excellent article Vejprty/Weipert in Bohemia found in the Spring 2002 edition of the Double Gun Journal states that The Bittner shop was located at Schmiedeberger Strasse 571 and that in 1914 was located at Am Graben 453 and by 1914 the firm employed 30 people and was owned and run by Gustav Jr., and Richard and Wenzel Bittner (his sons?). 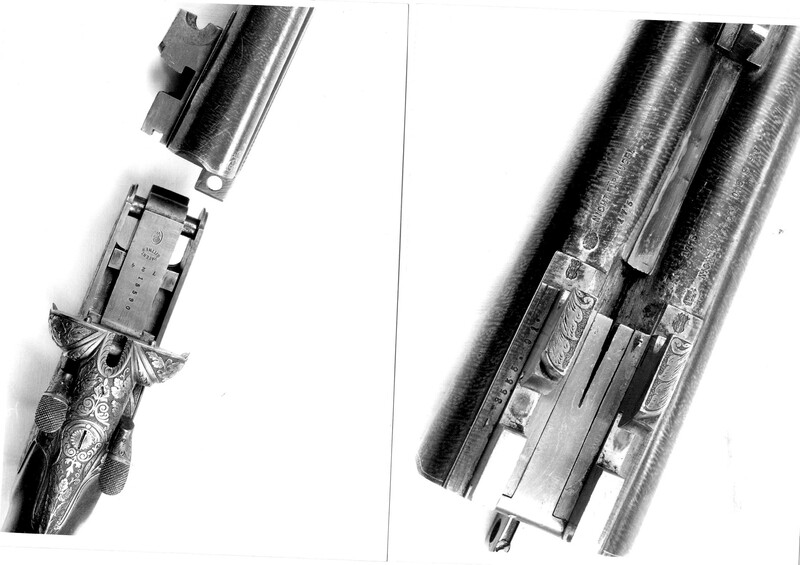 In 1933 Wenzel’s son Erich expanded the firm to include 150 people making double barrel shotguns and drillings. 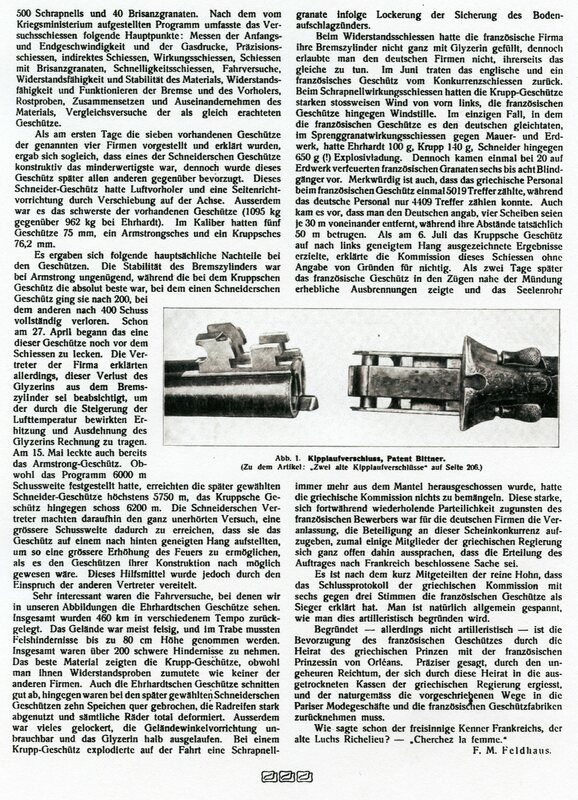 To muddy the water somewhat I present here an advertisement for a Franz Jãger side by side with the double lugs side by side and a article from the 1907 edition of the periodical Schuss und Waffe about the Record shotgun with the same lug arrangement. 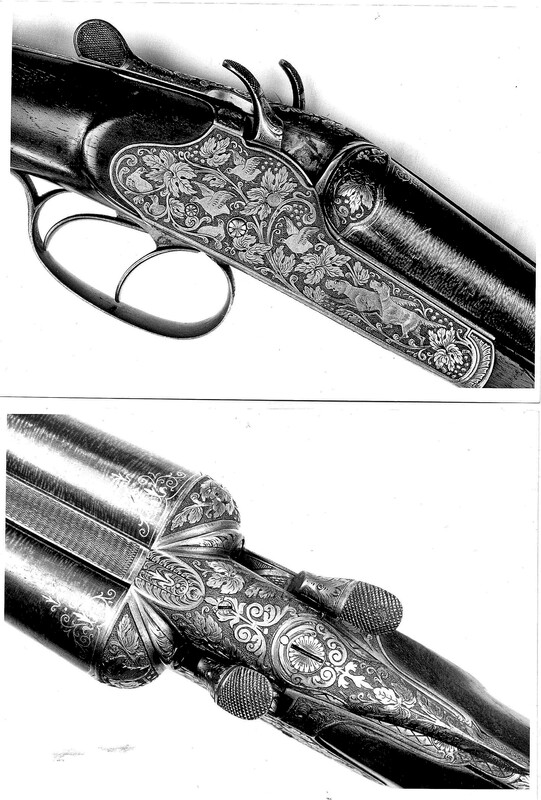 Below are two excellent images of a Gustav Bittner shotgun taken by and courtesy of Fredrik Fránzen of Sweden.